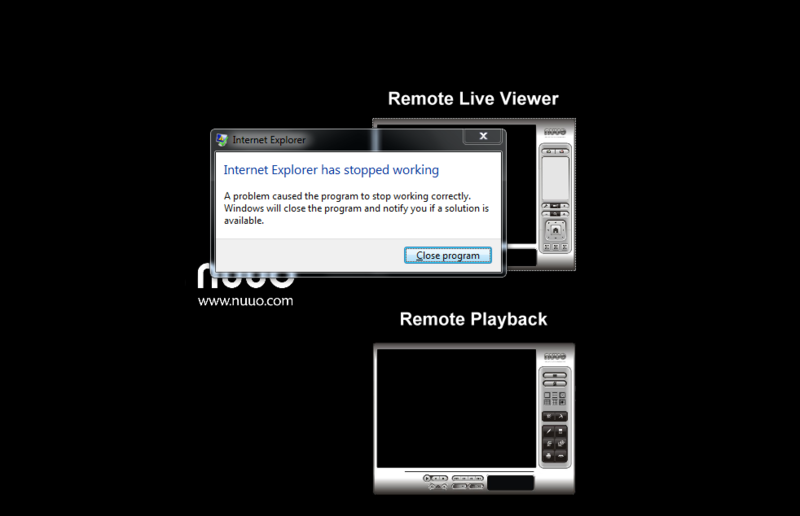 When trying to view Remote Live View from Internet Explorer (IE), a message might pop up that ActiveX is required to be installed. However, after the installation, a dialogue shows an error message and forced to terminate the program. 1. You are using 64-bit IE. 2. You didn't turn off your Windows Firewall and Windows UAC. 3. Your ActiveX is not installed properly. 1. Make sure you are using a 32-bit IE9 or above (64-bit is not supported yet). 2. Make sure to turn off Windows Firewall and Windows UAC. 3. Delete the ActiveX file: “WebViewS_3_2_0” under the path "C:\Users\Public Documents" (Windows 7). 5. Re-open IE and try again.